This wiki is maintained by the community and has been recently moved after being offline for a while replaced by the new docs.fusionpbx.com. Some of the information is out of date and needs volunteers to help update it. However it was suggested by some in the community that a place to document things that they learn or want to remember would be a useful. Caution Some of the information here is good and relevant and some of it out of date and in need of caring volunteers. Volunteers are welcome. FusionPBX is an open source project that provides a customizable and flexible web graphical user/administration interface. That takes freeswitch FreeSWITCH and converts it in to a single/multi tenant gateway or PBX system. level phone system features to small, medium and large businesses. Read more at FusionPBX.com. See instructions for the install at the following locations. Security - place to bring the community together to share security best practices. You can now edit again. For support on FusionPBX what should you do? Note that the Forum for FusionPBX is not currently used much but we have a very active IRC channel. You are therefore more likely to get timely help in the IRC channel than in the Forum. That said, the wiki is the key place you will find documentation - as things come up in IRC they get documented in the wiki - so do look there for answers. Primarily the wiki is arranged following the menu structure but there are also additional topic areas listed as well. Note also that because FusionPBX is built on top of FreeSWITCH and intentionally uses the same terminology as used in FreeSWITCH, often if there is a lack of information in the FusionPBX wiki it is because there is relevant information readily available in the FreeSWITCH wiki on that exact same thing. So do look at the FreeSWITCH wiki. The one thing that you need to bear in mind when looking at the FreeSWITCH wiki is that examples they give will generally be in XML as that is how you configure FreeSWITCH. While FusionPBX does allow you to still work in XML if you want (see Editing Config Files Safely) the intention of FusionPBX is generally to save you from needing to deal directly with XML. This wiki is ordered around topics & menu screens. If you are here for the first time the best place to start is the topical section below. If you already have fusionpbx and want to know more about a particular function you can look up the menu screen section for more information. Multi-Tenant - Domain based multi-tenant. Inbound Routes - ie. when FusionPBX receives a phone call what should it do with it? Outbound Routes - ie. when you want to make a call how will FusionPBX send it somewhere? Firewall - Firewall settings you may need when you are trying to connect with the outside world. Music On Hold - ie. if you place someone on hold what will they hear? Please note that the documentation in this section is being updated gradually. If you click on a link and find it isn't documented yet, please consider helping us out by adding information to it as you learn how to use it. 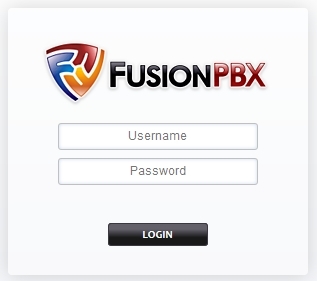 The GUI is accessible using a web browser by going to http://the_IP_address_of_your_FusionPBX_server. Dashboard - Quickly access information and tools related to your account. Users - Allows a superadmin/admin to manage USERs and GROUPs. Can create/delete users, edit their Account Settings. Providers - configure one of the VoIP providers in the list. When you click on setup it will add entries to the Domains access control list, create a gateway and add outbound routes for that carrier. Call Broadcast - Uses sched_api. Call Detail Records - Call history reports and detailed information on the calls. Music On Hold - to set up music for callers who are placed on hold or who are in a queue. Ring Groups - allow you to ring one or more registered endpoints. Registrations - By default in this page you can see all the registered endpoints in profile internal. PHP Service - Manages multiple dynamic and customizable PHP services. Unlisted FusionPBX screens - The screens in this section can be enabled through Advanced-Menu Manager. By default they are disabled. This is typically because few people would use them or there are other screens that now provide more advanced functionality. Please add your experiences with various SIP phones here. Especially if it is specific to FusionPBX (dialplay, huntgroup, etc). index to these as we find them! Variables - Manage FreeSWITCH preprocessor variables. User Manager - Allows a superadmin/admin to manage USERs and GROUPs. Can create/delete users, edit their Account Settings. XMPP Manager - Configure XMPP to work with Google talk or other jabber servers. Virtual Tables - Provides the ability to quickly define information to store and dynamically makes tools available to view, add, edit, delete, and search. FlashPhoner - Embeds FlashPhoner.com's Flash Based softphone for the logged in user. This page was last modified on 10 April 2018, at 02:30.